A knights face could not always be seen in battle, so sometimes they were identified first by their heraldries. 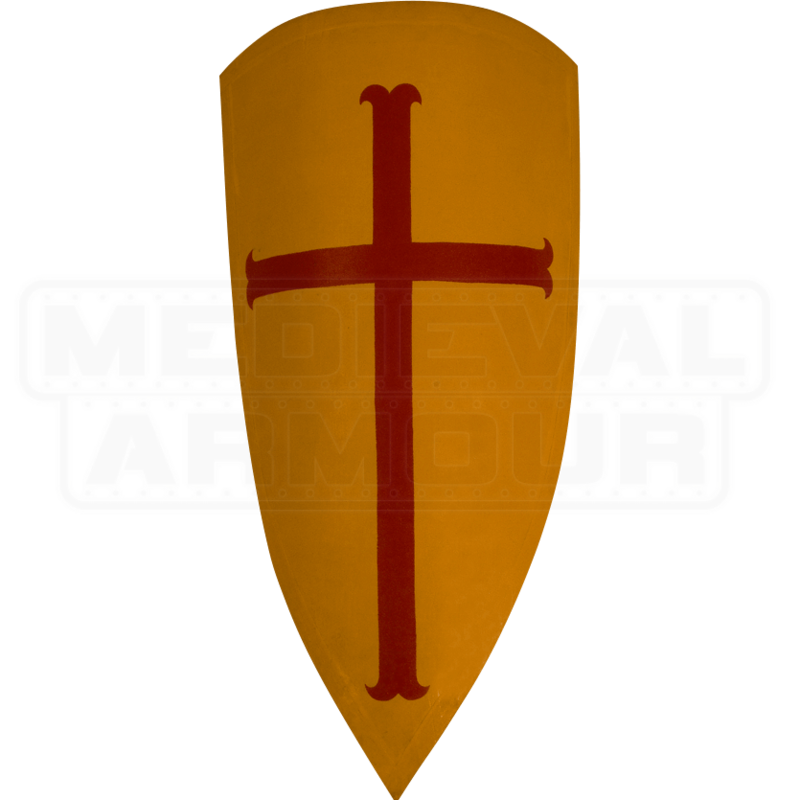 This Crusader Shield possesses a relatively simple heraldry, depicting a red cross charge emblazoned on a bright yellow field. This shield is crafted from strong, half-inch thick plywood that features a linen layering. Bright colors make this shield stand out to the eye, as it features a bright red cross on a yellow-gold backing. The back of the shield features three leather straps, two of which are attached to a brace to allow for proper wielding and usage, while the third is designed to allow the shield to be draped over the shoulder for easy carrying. It is a classic kite shield, which had the size and strength to protect a warriors chest and forelegs with ease. It stands approximately 46 inches tall, and when measured at its widest point, is approximately 28 inches wide. The shield does have a bit of curve to it, to better provide a more complete defense. 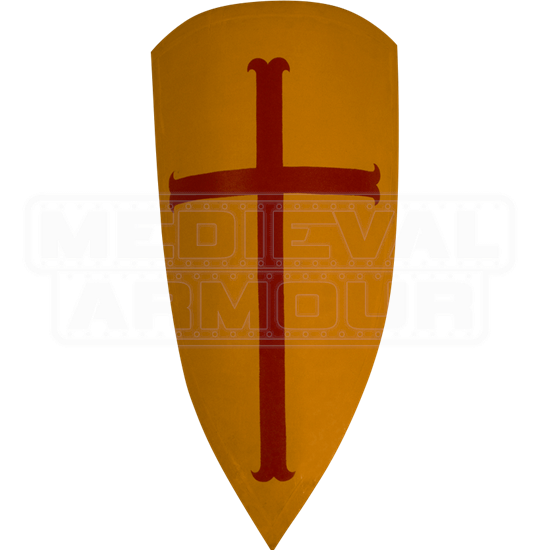 Whether you are looking for that real crusader look or just love the appeal of a vivid and brightly colored cross heraldry, this Crusader Shield is just the one for you to use, either to keep you safe in battle or to hang in your home as a great piece of medieval decor.